Lamb chops, gravy, cabbage, yoghurts. 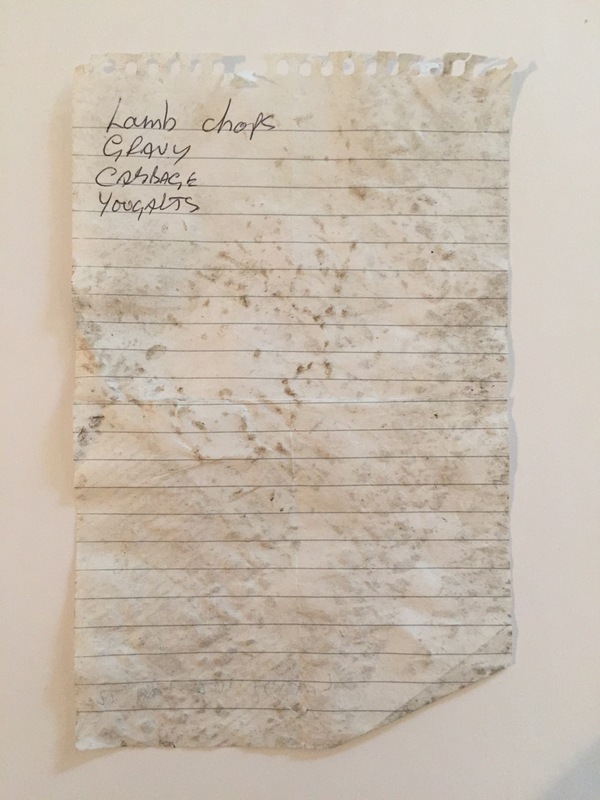 A one meal shopping list. I guess the potatoes are already at home. Yoghurt for afters. Did they drive over this shopping list? Was it found in the car park after having been driven over? I think so, pretty grubby.